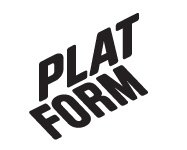 March 2014 – Platform r.f. Climate Change Concern Studio is an interactive art project. The installation is set up like an old- fashioned portrait studio with a landscape backdrop and a couple of lamps for illumination. The participant is asked to consider five different statements about climate change and pick one that he/ she can relate to. Depending on which one is chosen, the participant gets to pick a cardboard sign which reflects this statement. The participant is then photographed against the backdrop and two copies of the image are printed- one for the participant to keep, and one to pin up on the studio wall. The average time needed for the whole process is about five minutes. Climate Change Concern Studio was first shown in February 2014 at the independent art fair Supermarket in Stockholm. There were more than 500 participating visitors during the three days of the fair, resulting in some 300 portraits on the wall. The participatory element of the installation proved to be an efficient and successful way to engage the audience in a dialogue about a serious topic, while retaining a sense of enjoyment in the process. For more info, see www.patrikqvist.com. The opening of a Wormhole, provoked the appearance of a transport ‘shortcut’ in space-time. This phenomenon allowed the train to travel between the two cities for only few seconds. On March 12, a strange phenomenon will connect two cities located on the two opposite sides of the Gulf of Bothnia in the Baltic Sea: Vaasa in Finland and Umeå in Sweden. The observers of the phenomenon will receive a clear evidence for the existence of the Wormhole, and the practical equations from the Theory of General Relativity will be evaluated as possible solutions for transport. HR-Stamenov, the current artist in residence of Platform, presents this light spectacle. The immediate attention, which the media installation provokes, leaves the passers-by uncertain of what they have just seen, for the train literally ‘appears’ inside the buildings. The project is an illustration of the scientific theories of time travels and space distortions.